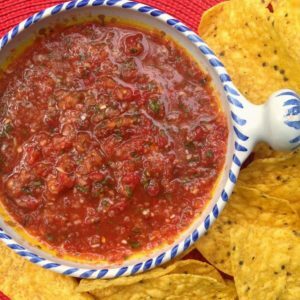 This easy to make salsa is full of bright flavors and is perfect for serving with chips or meats and fish. 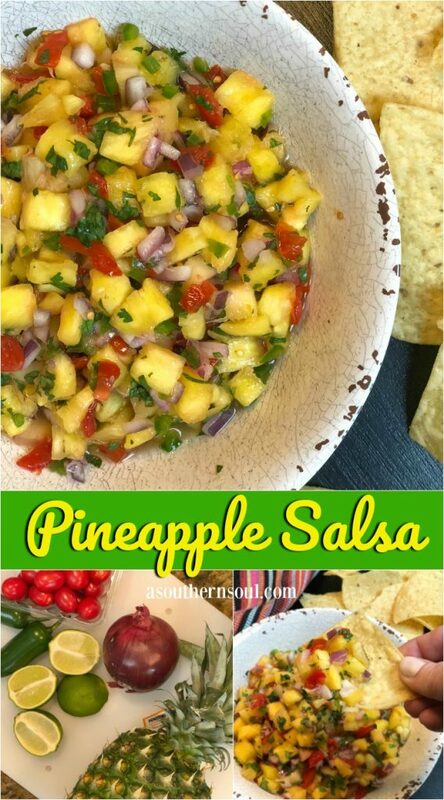 It’s made with only 6 ingredients in less than 15 minutes and has natural sweetness from fresh pineapple with a kick of spiciness from jalapenos. 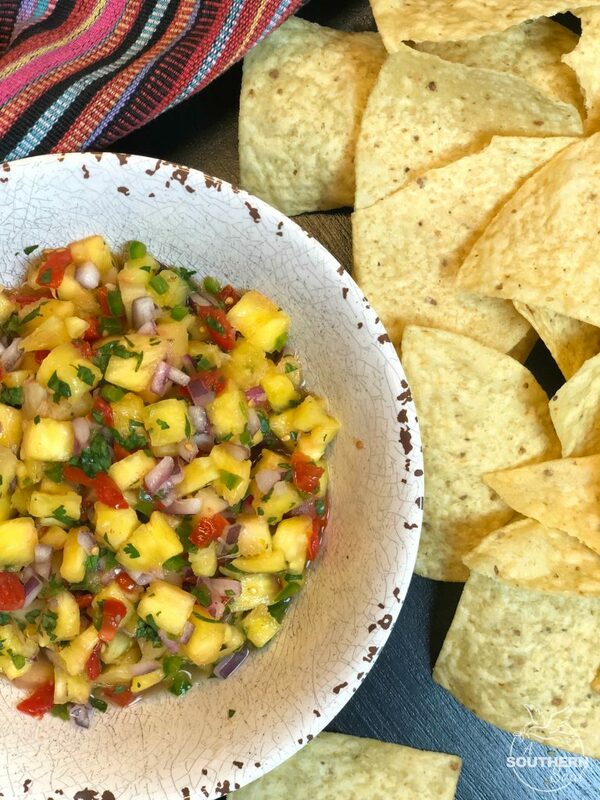 I’m giving you fair warning, one bite of this pineapple salsa and you’ll be absolutely addicted! 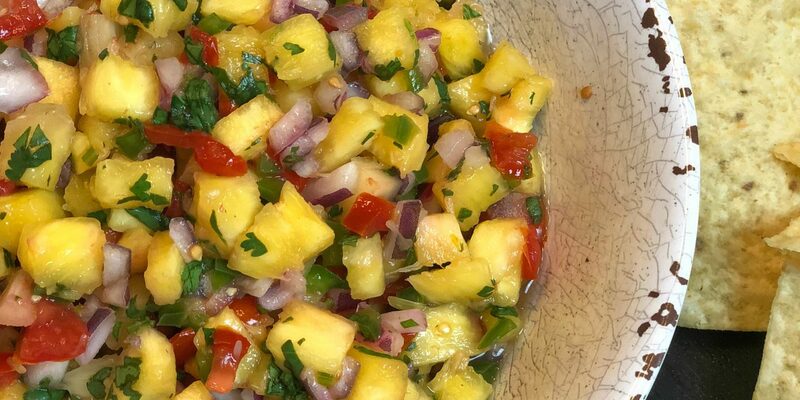 All you need is 6 simple ingredients – fresh pineapple, tomatoes, an onion, a jalapeno pepper, cilantro and a lime. That’s it. Now, it’s time to do a little chopping. The key here is to make your knife cuts uniform. 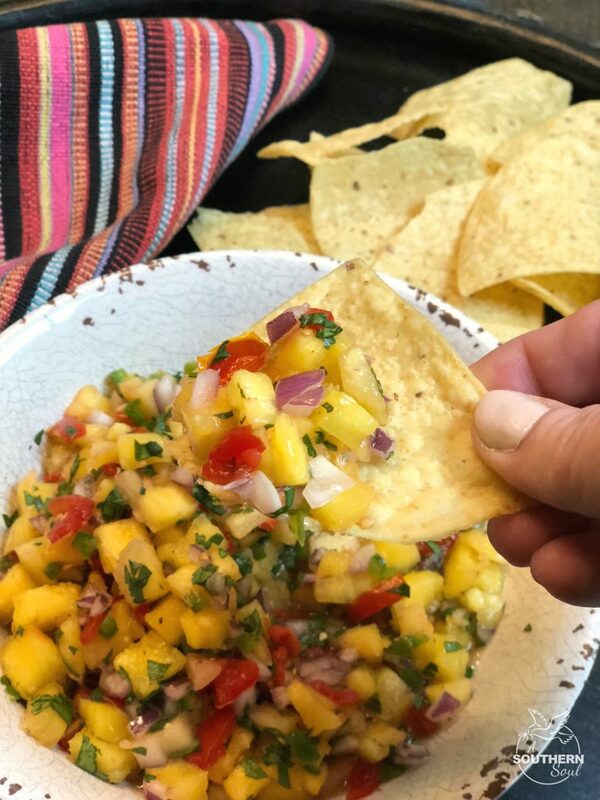 It looks better in your serving bowl and more importantly, when you’re scooping in with a chip, you’ll be able to get a little bite of everything! 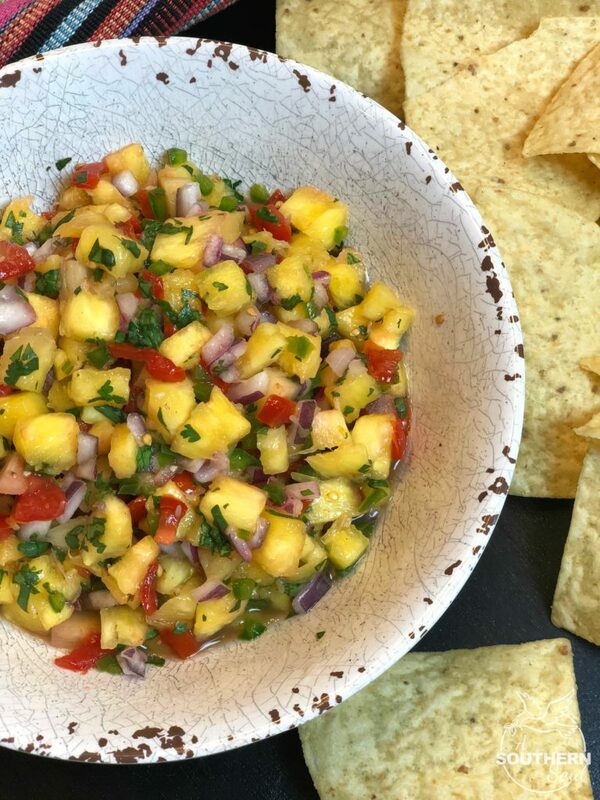 After chopping your ingredients, just dump them all in a bowl, squeeze on the lime, give a little sprinkle of salt and you are done. Your masterpiece is ready to serve. 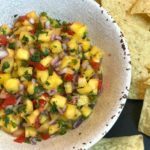 Of course, serving it with some crunchy chips is the #1 way to go at it but this salsa is outrageously good on grilled meats and fish. 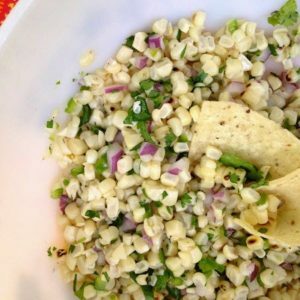 I think it’d be awesome on fish tacos or as a topping for cheese quesadillas. 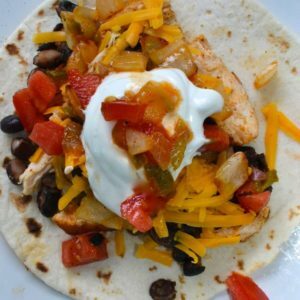 This is one of those recipes that will have your head spinning with all the different ways to eat it! For me, all I need is a big bag of chips, something festive to drink and it’s a party. 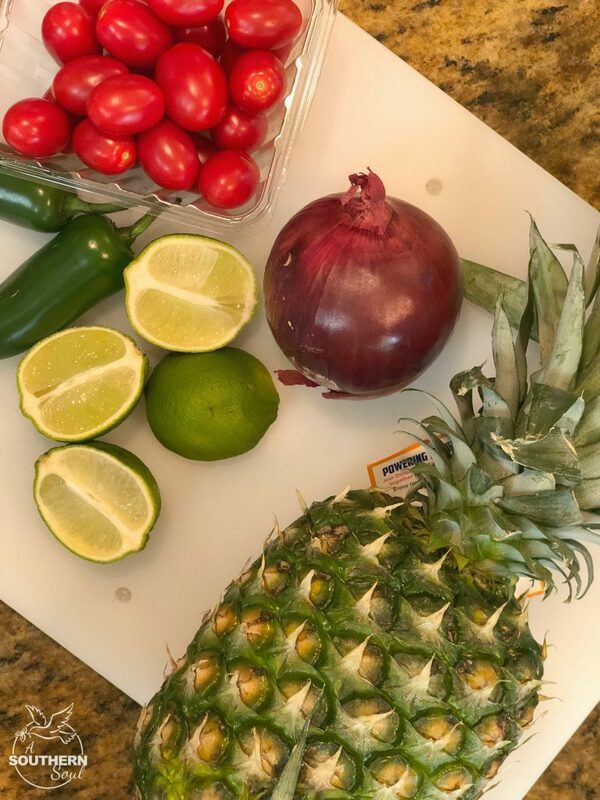 Add all ingredients to a bowl and mix. 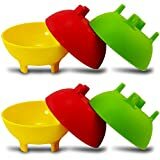 Can be served immediately or stored in refrigerator for up to 3 days. 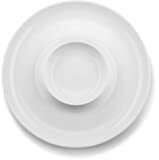 *** Serve with tortilla chips or any meat, chicken or fish dish that needs a lick of added flavor.